A bronze holy water vessel, Flemish or German ( Nuremberg ) 17th century. The vessel is 16 cm high with handle and 5 cm in diameter. 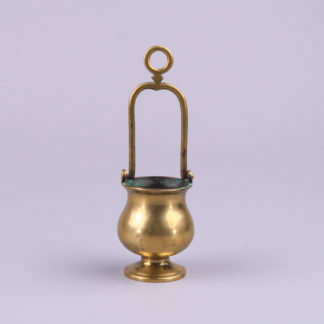 Height without handle is 6,6 cm. Overall in a good and original condition. 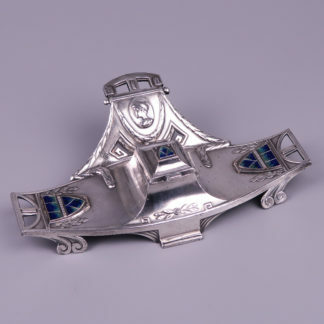 Vienna Secession Silver Plated Enameled Inkstand circa 1900. 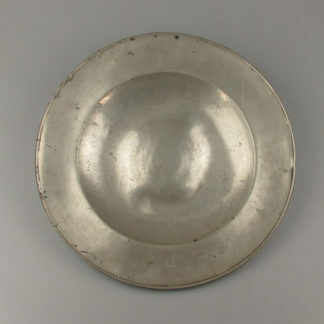 Flemish Pewter Broad Rim Charger 16th Century.